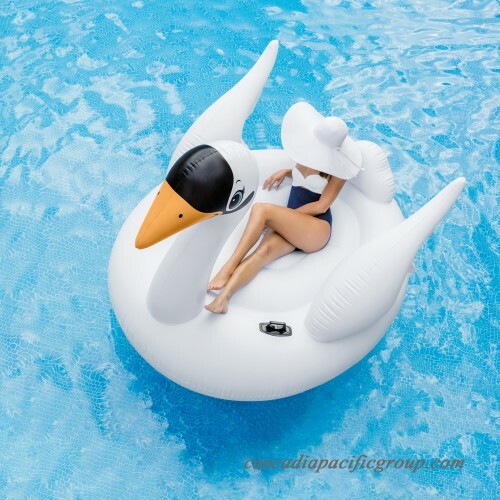 What a perfect way to float and lounge away at the pool or the beach with Intex Mega Swan Island! This float provides ample space for you to relax in. 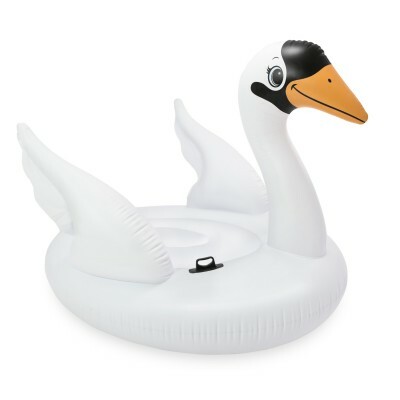 Designed to look like a gigantic swan, it is a fantastic addition to your pool. For your safety it is constructed with two heavy duty handles and two air chambers. It comes included with a repair patch for convenience. 76.5\" x 60\" x 58\"